We are a family run business who have been offering a service to both the trade professional and D.I.Y enthusiast since 1989. We pride ourselves on quality and service. We understand your requirements and the need for a reliable supplier, we have facilities for collection and offer an excellent delivery service. We offer competitive prices on all products and are willing to negotiate discounts on specific projects or bulk orders. Our staff are welcoming and we do our very best to help with your requirements and endeavour to assist where we can. We were proud to be winners of the Excellent Customer Services Award in the Basildon District Business Awards 2008. Really helpful on the phone and timber is of a superior quality - great service. Fantastic pricing and quality of decking, saw me struggling to cut up decking so put it on the band saw for me. Much appreciated, thanks! 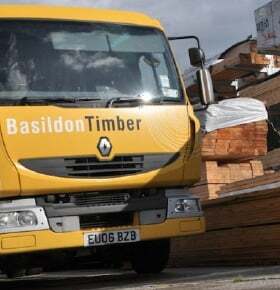 I've used your company a few times but the last was a order of skirting board for delivery service was great delivered the day I needed it and no problems will use a lot more.